In today’s day in age, we tend to turn to some kind of on-line authority with reviews that allow us to hear from other clients past experiences to get a “warm fuzzy” that the person or service we are going to purchase or engage is trustworthy. With scandals popping up with “Fiver” and other services creating avenues for goods and services to get false reviews on-line, it invariably pokes holes in being able to 100% trust on-line reviews. While many services do their best to vet or authenticate reviews before they publish them, there is always a lingering question of “Is this legit or did the person pay a service to post reviews on their behalf?” I myself attempt to collect on-line reviews in multiple arenas with a concentration on Google+ or LinkedIn. With a smattering of reviews on other sites. When working with clients who do not have a previous or personal relationship with me, they have no foundation to assess whether I am trustworthy or not. 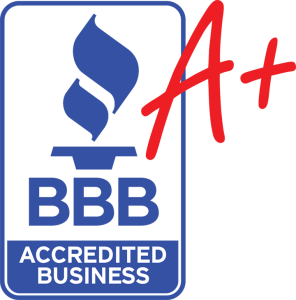 The Better Business Bureau has been vetting businesses for over 100 years all across the nation and by being a member, you know that their staff has personally vetted my business. With an A+ rating you know that I have no disputes against my services and a solid track record of business history. That way you know that if you do business with me, you are working with a trusted professional…and you don’t just have to take my word for it.